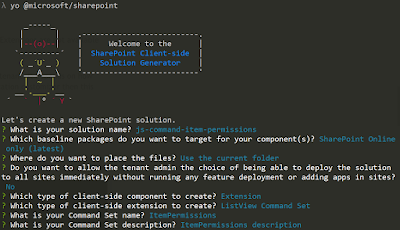 In this post I want to show you step-by-step implementation of SharePoint Framework Command Set Customizer. For those who doesn't want to read the post you can get it from here. Congratulations! The project has been scaffolded! 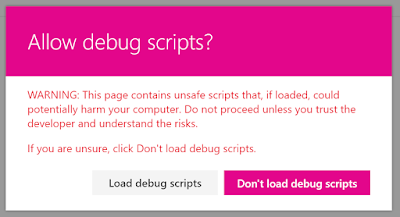 Now you can open the project in favorite IDE. The properties parameter is an optional text string containing a JSON object that will be deserialized into this.properties for your extension. Next step is to change auto-generated identifiers and titles for the commands in the customizer. 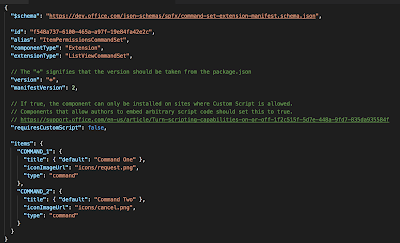 By default, Yeoman generator adds 2 commands in the customizer. But in this example we need only one. 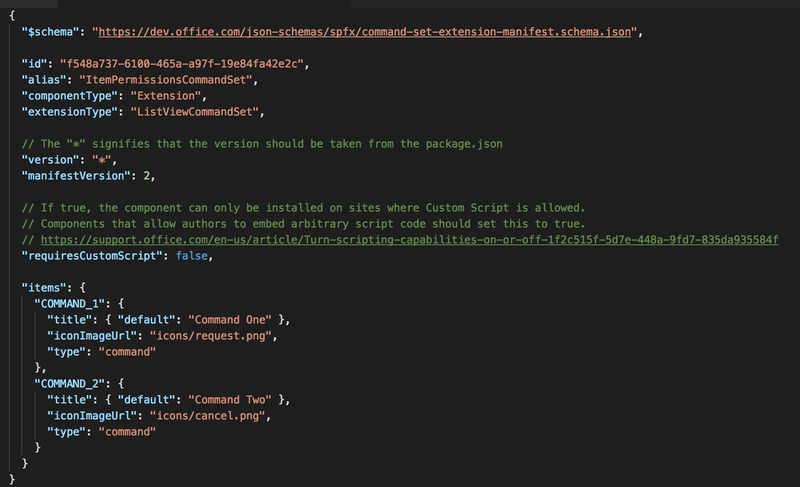 Commands definitions are stored in .manifest.json file in the same location where the customizer's source code is located. 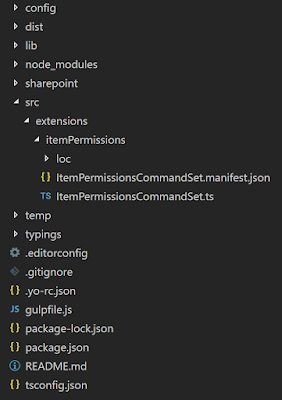 Let's remove default commands' definition and add command with Id ITEM_PERMISSIONS and default title Set item permissions. iconImageUrl may reference any image address that is available from the tenant. 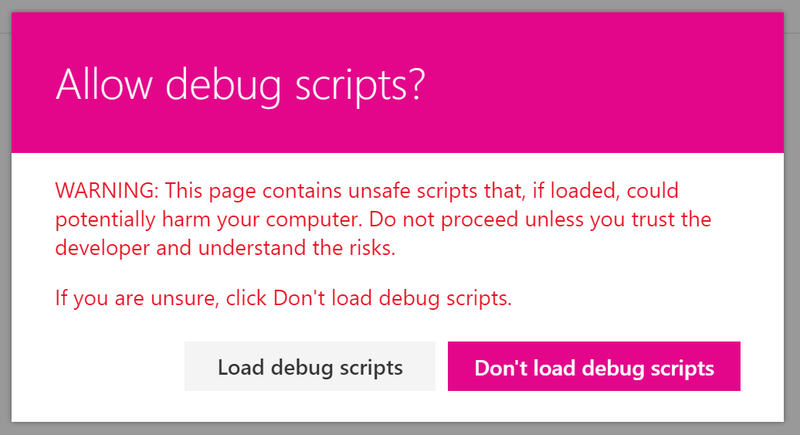 For this example let's just type "fake.png"
Note: for now there is no possibility to use font icons (for example, Office UI Fabric typography for Command Set commands' icons. 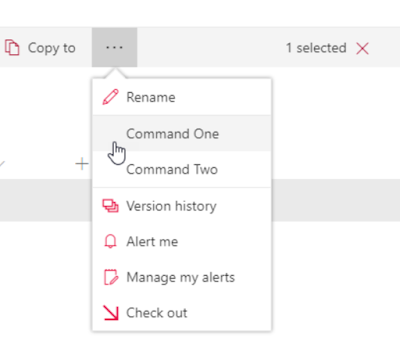 As I mentioned above, there is a onListViewUpdated(IListViewCommandSetListViewUpdatedParameters) event that occurs separately for each command (for example, a menu item) whenever a change happens in the List View, and the UI needs to be re-rendered. It can be used to determine if the command should be displayed and even its title. // This command should be hidden unless exactly one row is selected. 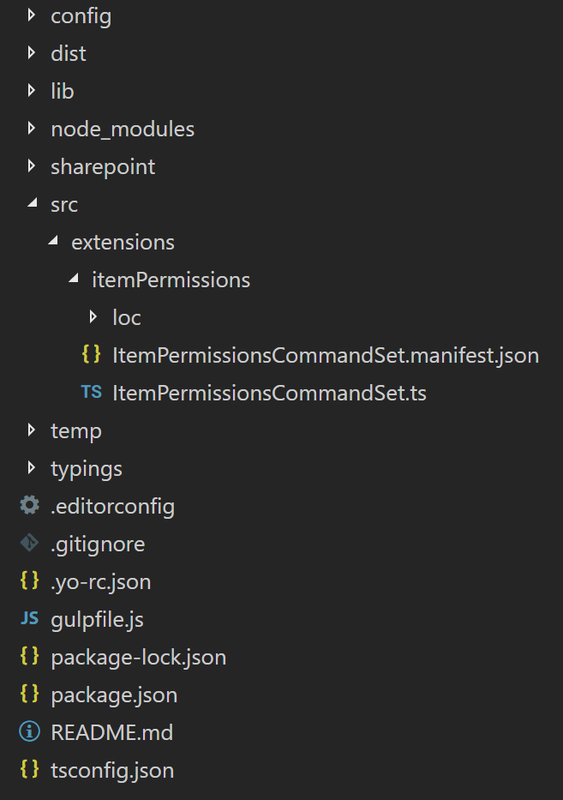 The final part of the implementation is command's execution. onExecute method is used to define the command's logic. 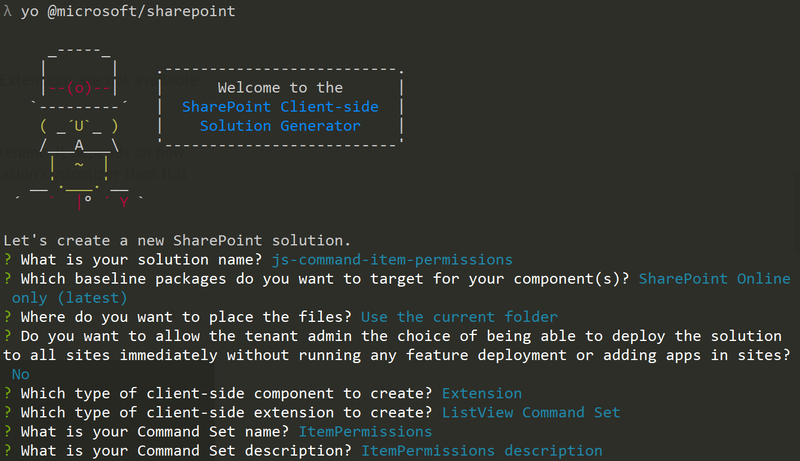 The second one will create .sppkg file in solution_folder/sharepoint folder and also prepare all the assets to be deployed to some storage. It may be Office 365 CDN, Azure Storage or any other type of public or organization storage. Preparation of the storage is a large separate topic. You can read about Office 365 CDN here and about Azure CDN here. After the solution is packaged and the assets are deployed to some CDN the solution can be deployed (manually or using some custom routine) to App Catalog and later installed to some site. 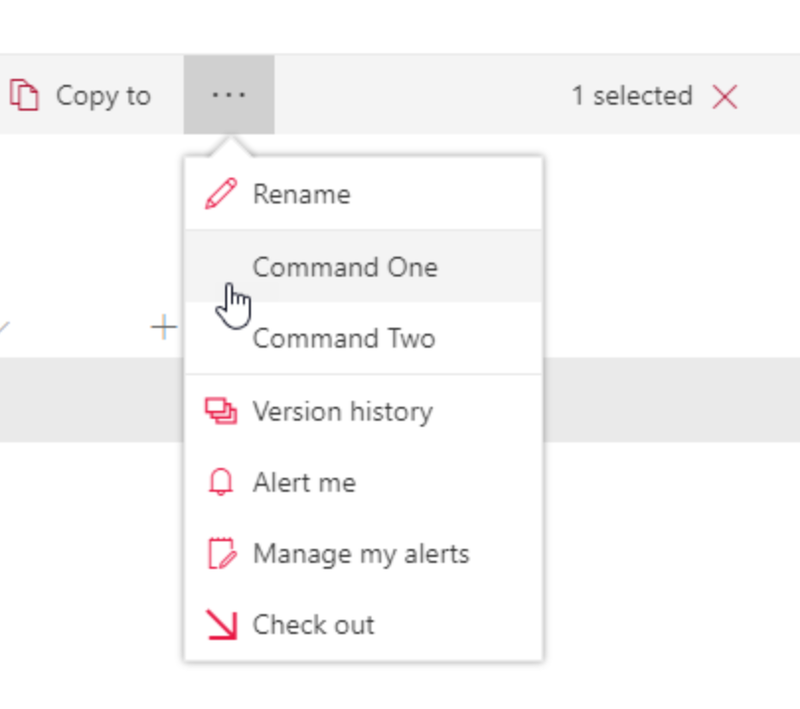 Now the List View Command Set Customizer will be added to the specific list.